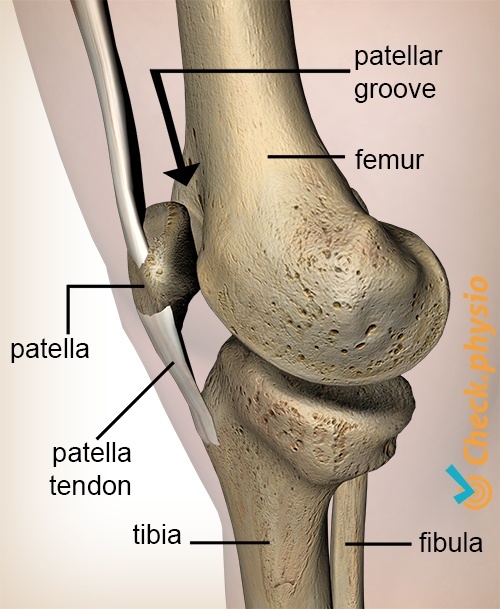 The patellofemoral pain syndrome (PFPS) is characterised by pain around the kneecap (patella). The symptoms occur with specific load placed on the patellofemoral joint. This is the joint between the patella and the thigh bone (femur). PFPS is primarily seen in adolescents and young adults. Unfortunately, the exact causes of the signs and symptoms of PFPS have not been clarified yet. The patella is pointed at the rear. This allows it to fit into the groove formed by the thigh bone. The patella can move up and down in this groove during movements of the knee. When the patella no longer moves properly in the groove and this causes symptoms, we refer to this as patellofemoral pain syndrome. In most cases, the patella moves too far to the outside of the groove. This causes the ligament structures on the inside of the knee to stretch, in turn causing an increase in pressure on the outside of the joint between the patella and the thigh. The pain is probably caused by irritation of the capsules and ligaments surrounding the patella. The increase in pressure can also cause pain, because the nerve structures in the bone beneath the joint emit pain signals. The pain develops gradually and is located around or at the rear of the patella. Walking up the stairs, running, crouching or cycling can provoke the symptoms. If the patient sits for extended periods this can feel very uncomfortable. This phenomenon is referred to as "(movie) theatre sign". In some cases the knee can "stutter" when flexing or extending. It is important to know that the pain is annoying, but generally harmless. Firstly, it is important to identify the origine of the symptoms so that these can be eliminated. Next, relative rest and exercise therapy can alleviate the symptoms. 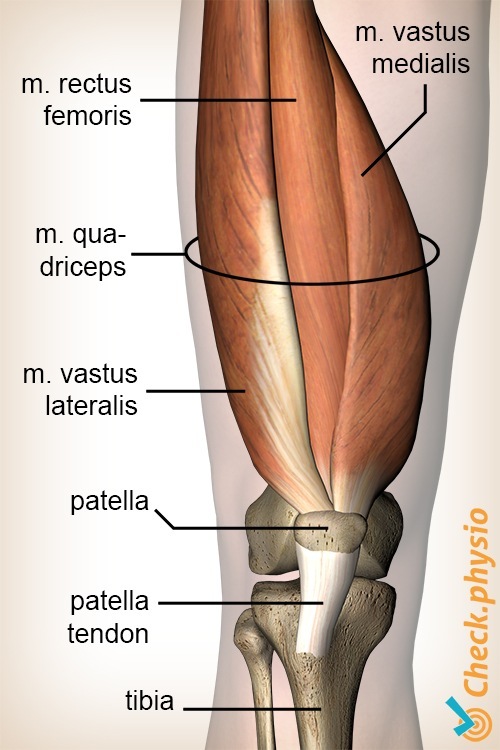 It is thought that training the vastus medialis (teardrop) muscle has a favourable effect on correct functioning of the patella. This is due to the fact that this muscle pulls the patella inwards, which provides a good correction of a patella that moves too far outwards.